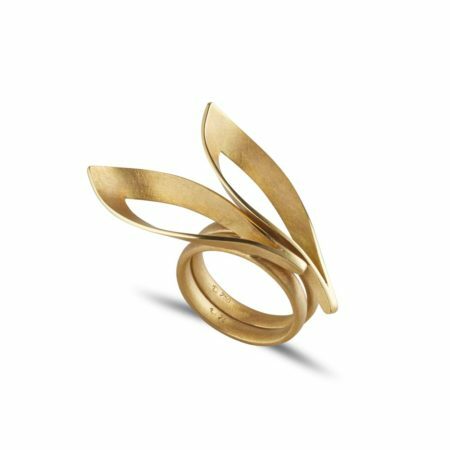 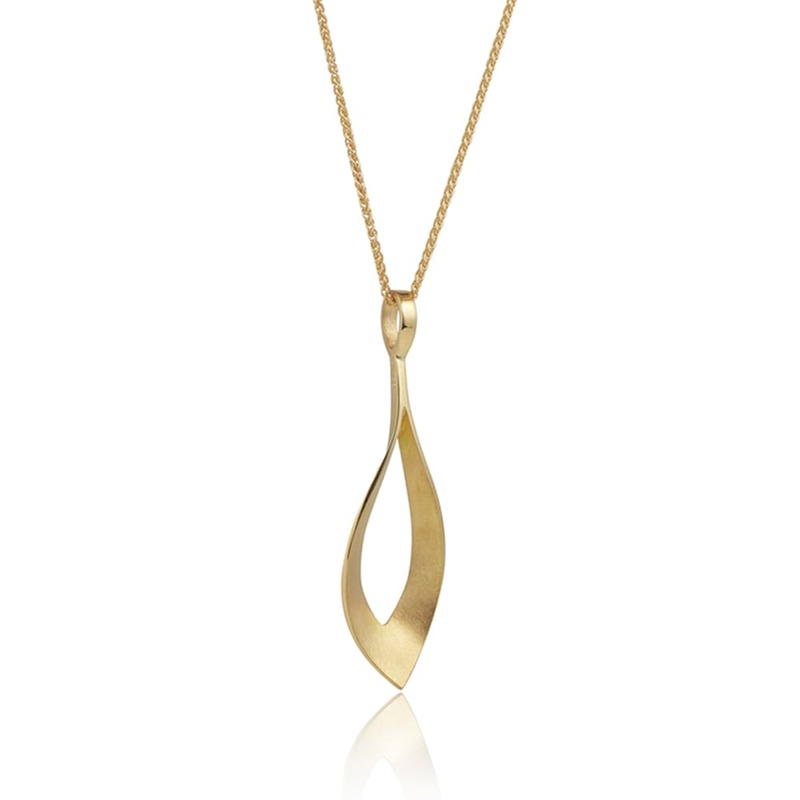 A single flame springs to life with this 18ct gold pendant handcrafted by German designer-goldsmith Jutta Ulland. 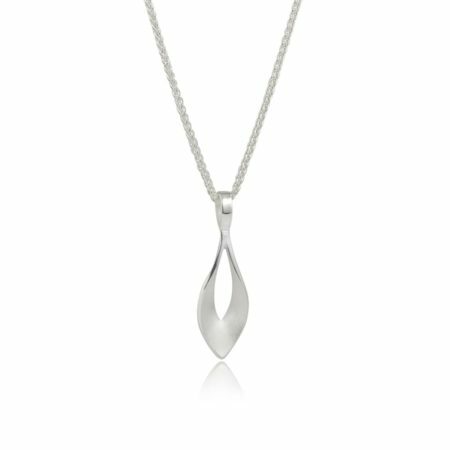 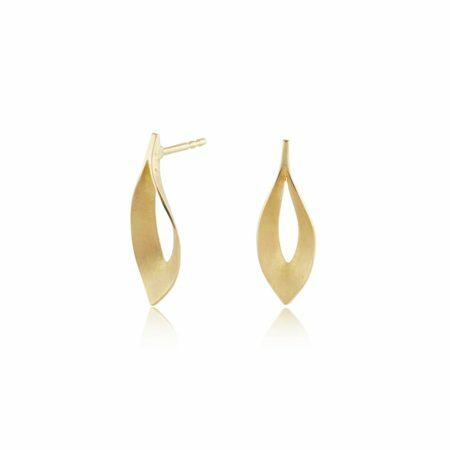 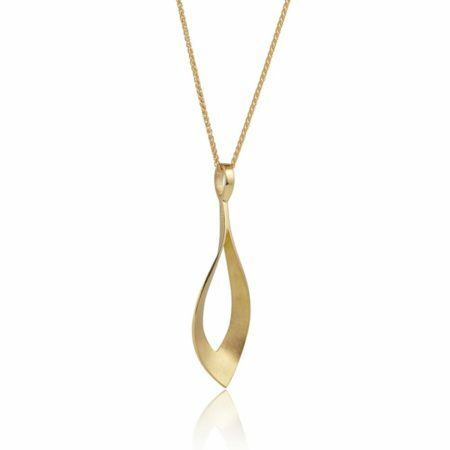 Worn on an 18 inch chain, the gentle curves will sit wonderfully with any neckline. 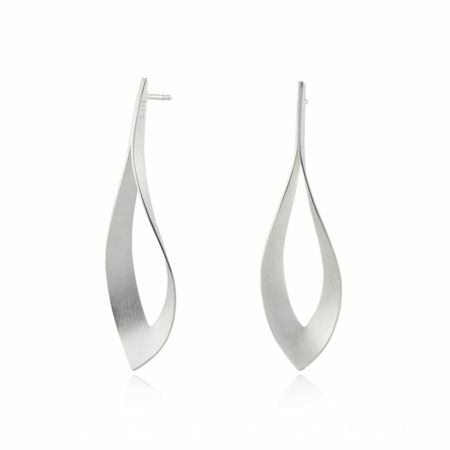 This design measures 40mm overall, but there is a smaller option too, if you’d like!